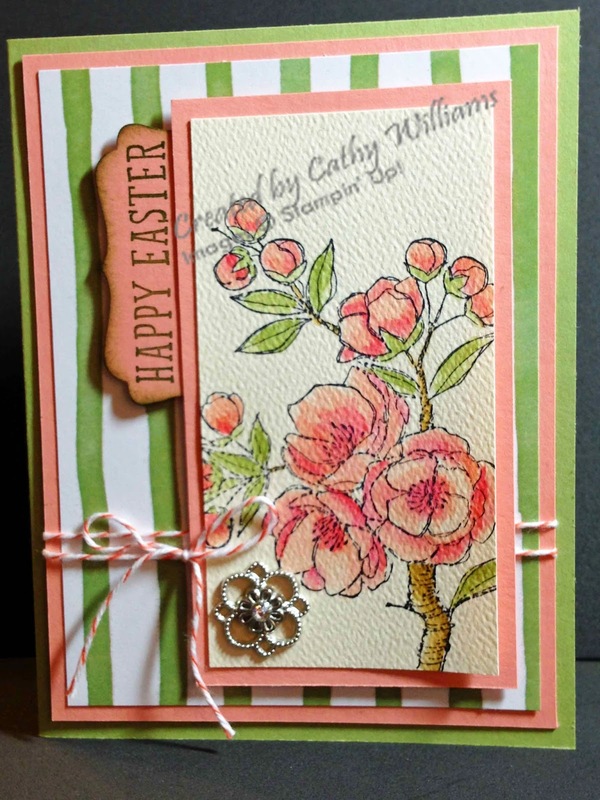 I thought I would jump from some of my cards from last fall to some current ones so you can be inspired by some of the items in the new Occasions and Sale-A-Bration catalogs! These two catalogs are awesome this year. 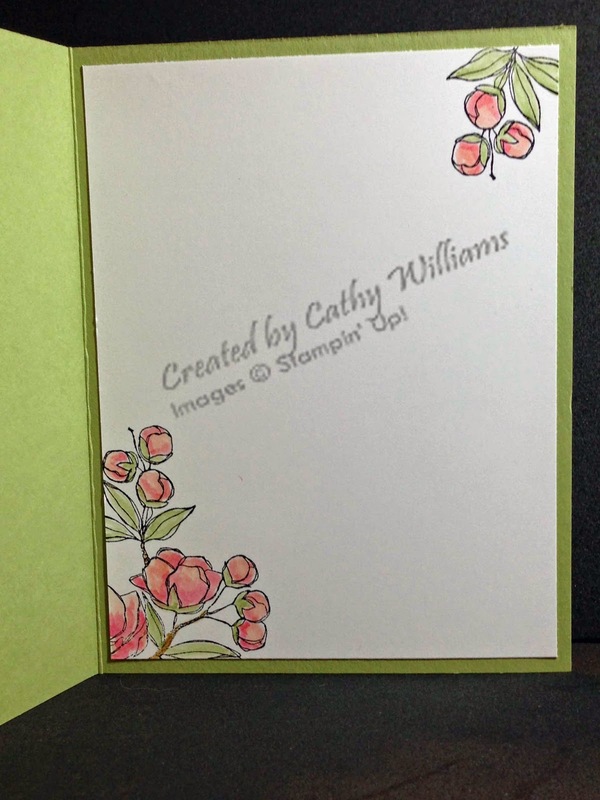 I think that the variety of items is excellent - thank you Stampin' Up! This Easter card would also be perfect as a Get Well or Thinking of You card. We used watercolor paper and used ink pads and Aquapainters to color the flowers. I think they turned out beautiful!